When Ted and I got married, he had a very specific way he liked his T-shirts folded. That would be front side out. Honestly, his reasoning made sense to me. It did. And it was all well and good if he was the one doing the laundry. Which, by the way, he often did. But for me it was an adjustment to change my T-shirt-folding ways. 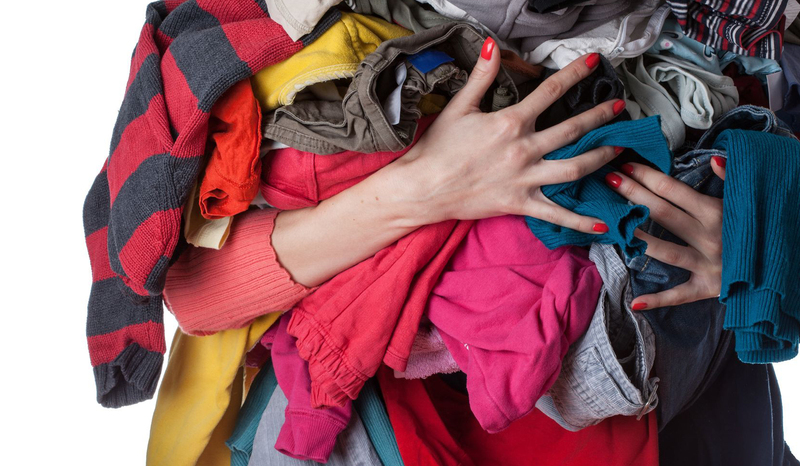 The truth is, I couldn’t care less how my T-shirts – or any piece of clothing, for that matter – were folded. As long as they didn’t end up wrinkled and require me to go buy an iron that I actually had to use, all was well in my laundry world. As a full-time graduate student who was also holding down a full-time job, I was fairly low-maintenance in the clothes-laundering department. I still remember when Ted initially informed me of his shirt folding preferences. I’m fairly confident it was mid-fold. First, I felt like rolling my eyes. But I didn’t. Next, I wanted to toss the shirt to him and say, “Here, you fold it.” I didn’t do that either. You see, at that point we hadn’t been married very long. Probably less than a month. My desire to please my new husband and be a good new wife overrode any and all eye rolling or laundry tossing desires. So, yep, you guessed it. Mid-fold, I changed the direction of my fold to front side out. And I’m glad I did. I learned an important lesson that day. One that I’ve carried with me over the last dozen years of marriage. It’s this: Sometimes loving Ted is as easy as folding his T-shirts a particular way. Or taking the time to match his dress socks. Sometimes it really is that simple. Each time I put the energy into catering to one of his seemingly random preferences, rather than lazily resorting to mine, he feels heard. Loved. Respected. The thing is, Ted loves me similarly. In my book Team Us: Marriage Together, I talk about my pet peeve when it comes to mail being placed on the kitchen counter where I prep food. I hold strongly to the belief that mail is too dirty to share counter space with my cutting board. Label it OCD, if you must. I’d probably agree with you. Well, on those days – which is almost every day at this point in our marriage – that Ted remembers not to place the mail on these spots in the kitchen, I feel heard. Loved. Respected. What about your spouse? Is there a preference your spouse has that seems silly to you? Maybe, like me, it’s how T-shirts are folded or socks matched. And perhaps it leaves you wanting to roll your eyes too. If so, I encourage you to just cater to your spouse instead. You might just be surprised how something so simple makes your spouse feel heard. Loved. Respected, even. And in case you’re wondering, twelve years later, folding T-shirts front side out is a force of habit. It’s hard to believe I ever thought to fold them any other way.